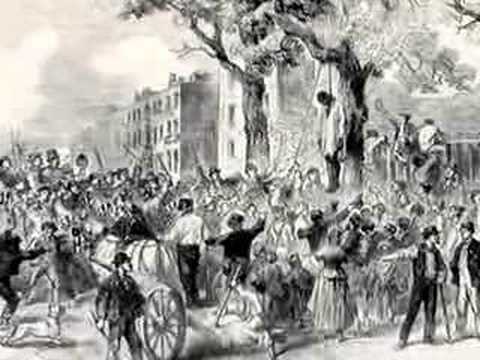 News of the lynching spread across the world. Local photographer Lawrence Beitler took what would become the most iconic photograph of lynching in America. 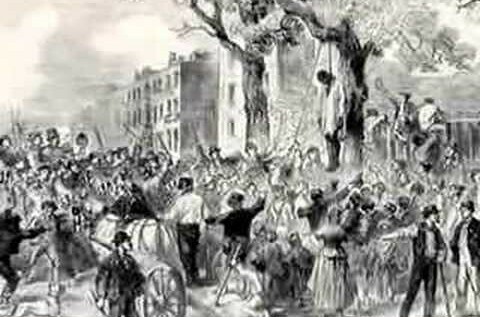 The photograph shows two bodies hanging from a tree surrounded by a crowd of ordinary citizens, including women and children. Thousands of copies were made and sold. The photograph helped inspire the poem and song “Strange Fruit” written by Abel Meeropol — and performed around the world by Billie Holiday. They got me up to the tree and they got a rope and they put it around my neck. And they began to push me under the tree. And that’s when I prayed to God. I said, ‘Lord have mercy, forgive me my sins.’ I was ready to die. “We know that three young black men were at the scene of the crime. We know there was also a young white woman at the scene of the crime. Who pulled the trigger, who shot Claude Deeter is not known. And I don’t think really can be known,” says historian Jim Madison at Indiana University. EnlargeJoe Raedle/Getty ImagesIn 2005, James Cameron spoke at a press conference held by Senate members who passed a historic resolution apologizing for the body’s failure to enact federal anti-lynching legislation during the first half of the 20th century. He also went on to found three chapters of the NAACP, served as Indiana’s State Director of the Office of Civil Liberties and founded America’s Black Holocaust Museum. Produced by Joe Richman and Anayansi Diaz-Cortes of Radio Diaries with help from Deborah George, Ben Shapiro, Samara Freemark and Annie Baer. Special thanks to James Madison, author of A Lynching in the Heartland; Virgil Cameron, son of the late James Cameron; the Indiana University-Purdue University archive; Wisconsin Public Television; and WHYY’s Fresh Air for use of their 1994 interview with James Cameron.